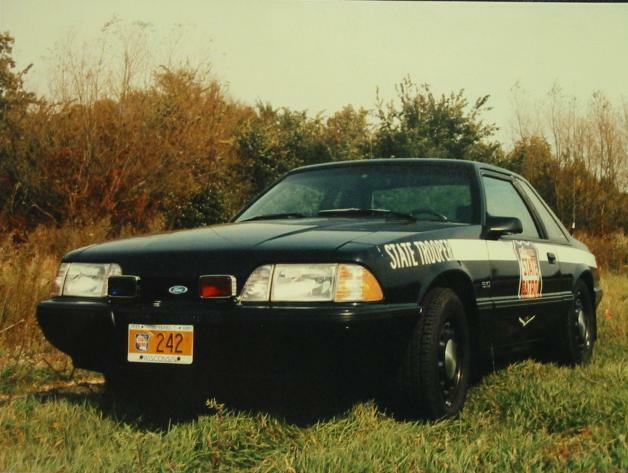 1987-1989 Wisconsin State Patrol slicktop. 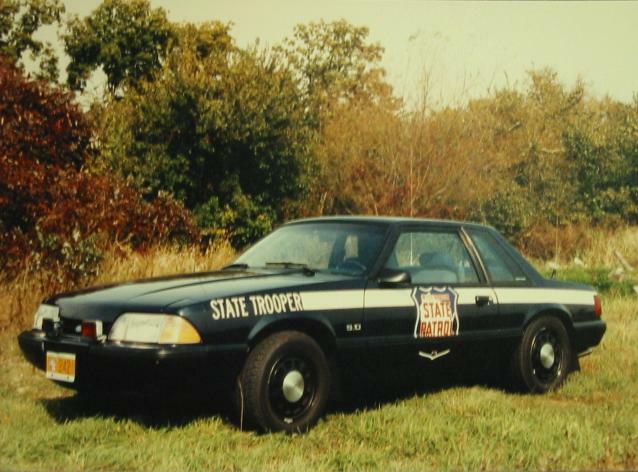 1988 Wisconsin State Patrol slicktop. 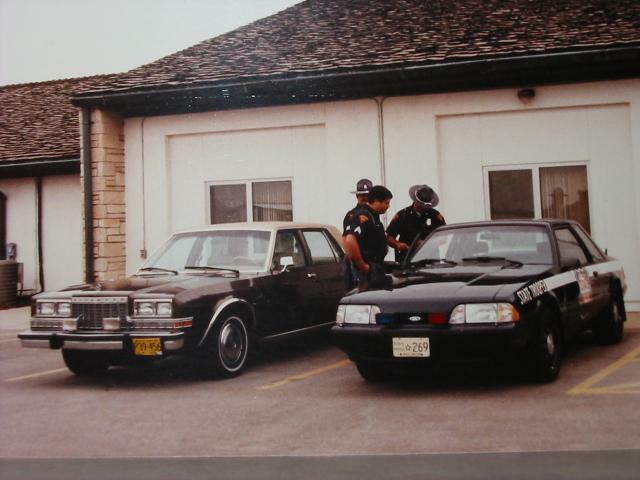 This car has the "SHO-Me" style lights up front, similar to Texas DPS cars. 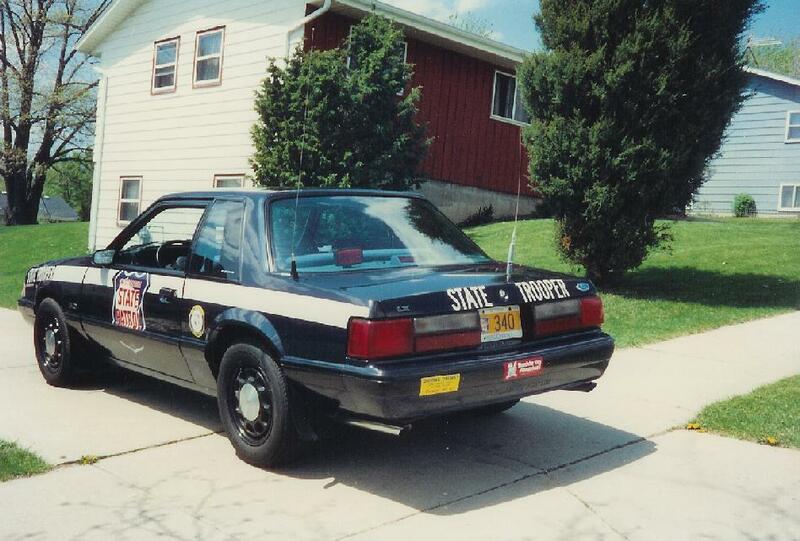 WSP Photo, courtesy of Jim W.
1988 Wisconsin State Patrol Mustang above, rear shot. There are two dashlasers (Code 3, red and blue) on the rear deck. WSP Photo, courtesy of Jim W.
Another shot of the 1988 above, good shot of the WI graphics. 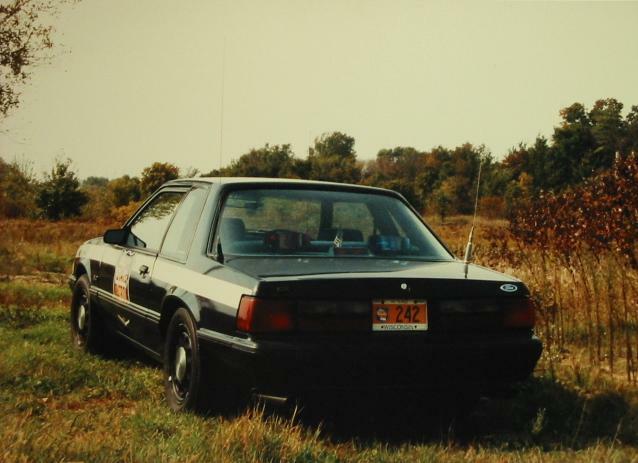 WSP Photo, courtesy of Jim W.
One last 1988 Wisconsin State Patrol Mustang. WSP Photo, courtesy of Jim W.